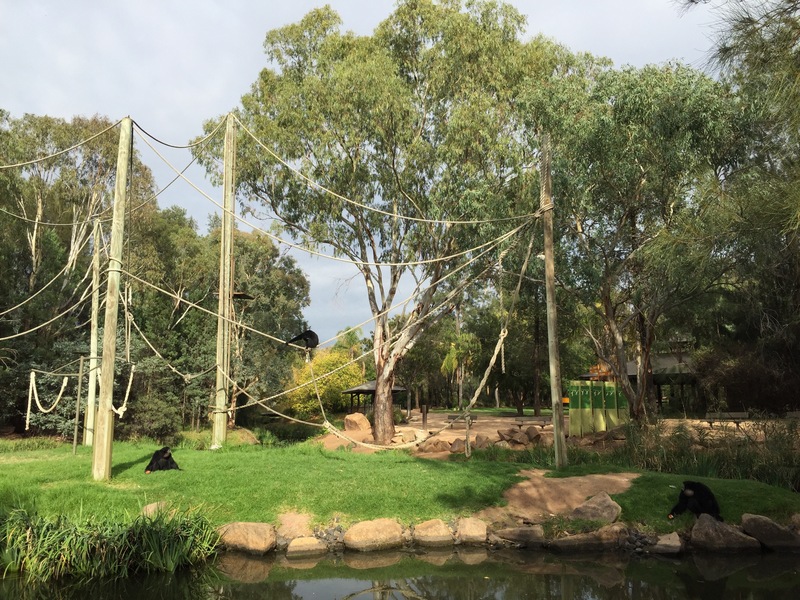 An unusual creature I had never seen before I learnt about in the Dubbo zoo: the siamang monkeys or greater gibbon. It is an ape therefore has no tail. A romantic(?) creature as siamang mates stay together for life. The most amusing of its characteristics is its large inflatable throat sac that can inflate the size of their head to make the noise louder! Especially early mornings to announce thier territory. It lives on the trees of Southeast Asia and it is so fast around the branches that almost no predators can get them – except for the rapid deforestation which has them endangered.